The Seville barstool is what you get when you distill quality materials, exceptional design and careful craftsmanship. 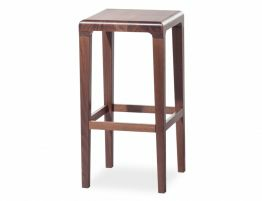 This solid wood kitchen barstool, shown here in walnut, is yet another stand out furniture offering from European fine furniture crafters, TON CZ. 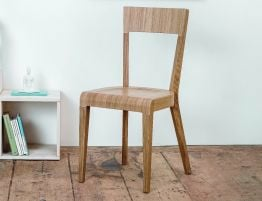 Esteemed German design team Ronny Eysser and Alexander Grimm came up with the design for the Seville barstool and we love the backless barstool design, the simple but thoughtful design details and the solid wood construction. Integrate the good looks and superior styling of this solid wood barstool inspired by the terraced wine region of Rioja Spain. Put these kitchen barstools at your breakfast bar, your island seating or counters for a style that is altogether natural and organic feeling and yet undoubtedly refined and polished. 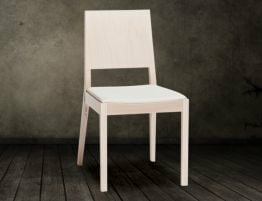 At Relax House furniture, we search the globe looking for those hard to find deals on high quality designer wood furniture that we know Australian furniture lovers are seeking. If you are on the lookout for barstools, kitchen bar stools, café stools, solid wood bar stools, modern barstools, designer barstools or more, we probably have exactly what you need or maybe something you didn’t even think of! Our kitchen bar stool has been inspired by the terraced regions of Seville, Spain, giving our designer bar stool its name. Seville is among the most highly regarded wine regions in the world and this Spanish province with its landscape and flowing wine provided Eysser and Grimm with the inspiration for this magnificent barstool. 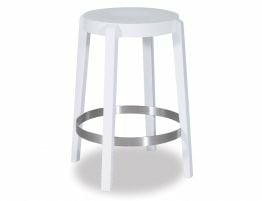 Here at Relax House, we appreciate many things about this unique kitchen barstool but one of the things we love is this doesn’t look anything like the cookie cutter wood stools that seem to flood the market (and yard sales). The Seville is oozing with style and underplayed sophistication. Put this barstool in your modern kitchen and it will elevate the design without taking attention away from other stand out design elements. Put these kitchen bar stools around your breakfast bar, your kitchen counter seating or your island seating. Because of the quality solid beechwood construction, these barstools are built to last. Likewise, with the subtle designer details and simple form, our wooden kitchen barstools are built to withstand changing trends and kitchen style.